The Comic Vault – Page 80 – Unlock your inner geek and step inside! When a TV show becomes popular, it’s not surprising that an entire mythology spins out of it into other mediums. This is the case with Sons of Anarchy being adapted into a comic series and I’m going to review the first volume, collected as a graphic novel. Volume 1 runs parallel to Season 5 and it’s written by Christopher Golden and drawn by Damian Couceiro. In the past, chatbots have suffered from a bad reputation, often being associated with excessive spam and virus filled messaging. But things have now started to change, with a growing number of brands making the most of artificial intelligence and using chatbots to monetise their services. But what is it about this new generation of chatbots that makes them so efficient and how can they be used to help businesses who are looking to amplify brand awareness? I’ve decided to introduce another segment called Beneath The Pages, where I’ll talk about someone from the comic industry I admire. This could be a writer, artist, penciller or editor. They are the people who bring characters to life, who create works of art that stand the test of time. The first person I’m going to focus on is Marjorie Liu, who’s known for her work on comics like Dark Wolverine, X-23 and Black Widow. I’m back with a new addition of The Pop Culture Playlist, and on suggestion from Alex over at alexraphael I’m going to be featuring Gambit. The Ragin’ Cajun is one of my favourite characters, having played the role of thief and hero with the X-Men. I’ve come up with a playlist to represent a man with a devil-may-care attitude and who is also a hustler with a heart of gold. For my first graphic novel review I’m concentrating on Batman: Hush, written by Jeff Loeb and drawn by Jim Lee. It’s one of the most complex stories I’ve read in a long time, with Batman assaulted on all fronts by his greatest enemies. It begins with him rescuing a boy who has been kidnapped by Killer Croc. Catwoman makes off with the money and Batman chases her across the Gotham rooftops. The line to his grappling gun is cut and he falls into Crime Alley, fracturing his skull and leaving him to the mercy of thugs. We’ve all heard the expression bigger is better, but micro-influencers are showing why greatness comes from small things. What are micro-influencers, you ask? They’re everyday people with a passion who want to share it with others. To get more technical, micro-influencers are social media gurus with followers of anywhere between 10,000 to 100,000 on Instagram. They are at the forefront of influencer marketing, with their recommendations making a difference to the right people. Brands use them to target a niche audience rather than casting a wide net with macro-influencers like celebrities. Manchester is known for having the world’s most famous football team, but it’s not what I think of when I think of my home. 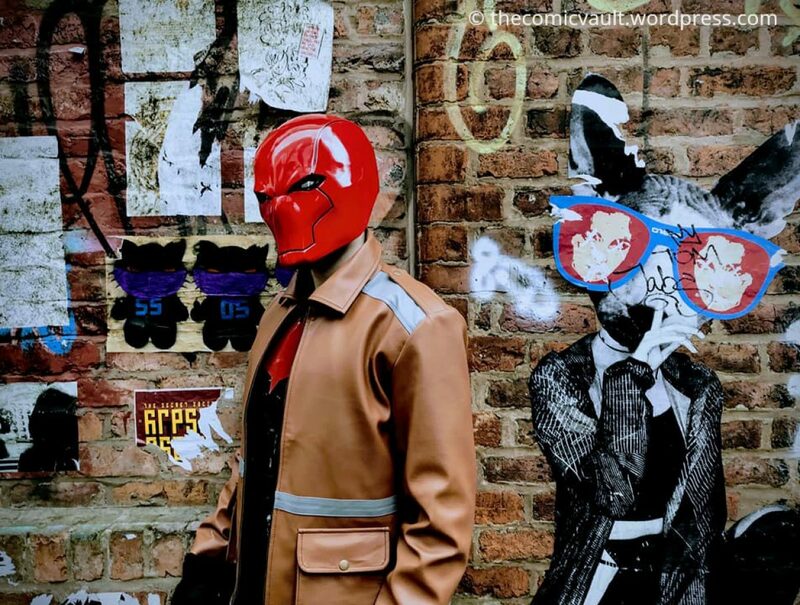 For any comic fan who’s thinking of visiting the city then you’ll want to check out Forbidden Planet in The Northern Quarter. It has two floors of pop culture goodness that will keep you occupied for hours.